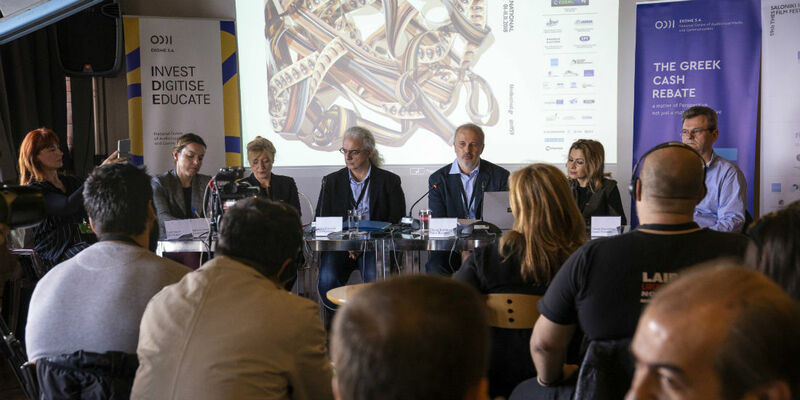 Within the framework of the 59th Thessaloniki International Film Festival, EKOME President and CEO, Panos Kouanis, gave a press conference to inform film industry professionals about the aims and areas of its activities at on Friday November 9, at Thessaloniki Museum of Photography. Director of the 59th Thessaloniki International Film Festival, Orestis Andreadakis, welcomed EKOME, hosted by TIFF for the first time and expressed the hope that this collaboration will continue, with his own contribution to this excellent-as he called it- effort. 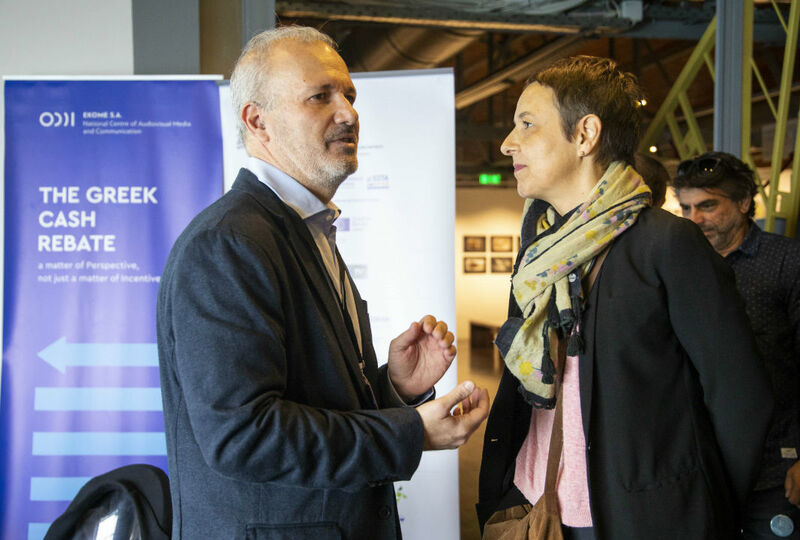 He then gave the floor to the President of the National Centre for Audiovisual Media and Communication, Panos Kouanis, who also thanked the Festival, saying that the trip of EKOME extroversion began in Thessaloniki. “EKOME is an organisation whose purpose is to support the audiovisual industry and especially the cinema” he noted, presenting the three main pillars of audiovisual production support in Greece include the cash rebate scheme, the digitisation of audiovisual works and education. You may find the full Press Release in Greek and English.